The first set of sportswear, namely - a football uniform, was made by us in 2010. This was one of the first steps in the direction of making sportswear. The private enterprise "Geraldyka" (Heraldry – Ukrainian) started its activity back in 2006, and now it is included in the top leaders of the production of accessories of the state symbols in Ukraine. To say that this way was difficult and thorny is to say nothing. During this period, the technology of production has been changed and improved, the collective of the enterprise has grown in quantitative and qualitative terms, which currently has more than forty professional employees. In 2009, a new product of the "Geraldyka" private enterprise is entering the market and, accordingly, along with the direction of state symbols, a completely new direction is developing - the Geraldyka Print. This direction combines the experience of previous years of work and uses new technologies of sublimation printing on fabrics. Thanks to this, the range of "Geraldyka" increases many times, which allows us to develop new, previously seemingly totally inaccessible markets. It is at this time that the so-called "quantum leap" of the company takes place. There are partner representatives in such cities as Lviv, Kyiv, Kharkov. Active cooperation with advertising agencies is beginning all over Ukraine. The company invests significant funds to support and develop children's sports, helps a variety of volunteer organizations. 2014 was marked by the birth of a new direction, and then a new brand Gera. In the spring of 2014 the first sports suit "Gera" was sewn. From this moment the company begins a division and delineation of three main areas - Geraldyka Symbolica, Geraldyka Print and Gera. New prospects and horizons for the development of a newborn brand with great potential and ambitions are determined. We are creating another garment production for the manufacture of sportswear. "Gera" declares itself not only at the national level, but also outside our country. 2015 year. A turning point in the formation of the company as a whole and the trade mark "Gera" in particular. Due to the difficult situation on the market, the team "Gera" is reformatted. There is a new concept and mission of the company. "Gera" is entering a qualitatively new level of development. The team of experienced designers working on all the important aspects of quality equipment is working on the development of new models of clothing, the most important is the convenience. We are responsible for the tissues, which we choose, because it depends on the fabric of the athlete's comfort. The trademark Gera, together with the outstanding Ukrainian artist Andreyi Yermolenko, created a new project – Osavul (Captain – Ukrainian). "Osavul" is a brand of professional equipment. Andrey creates bright designs in the Ukrainian style, and we sew bright sets with these designs. For the rest of TM Gera's clothes, a team of professionals creates the designs, which are guided by fashion trends and skillfully implement them for our collections. The main reason that the Gera brand is the brand of sportswear is that the bulk of our company is actively involved in sports. We want to develop a sporting spirit and interest in sport among the youth. Our product is made with the involvement of all novelties and developments, both in terms of combining innovative technologies and materials, and generalizing all the experience of previous years in the field of manufacturing quality sportswear and equipment. That is why we use high-quality materials and foreign-made furniture for manufacturing our products, which, combined with Ukrainian diligence and perseverance, makes it possible to create a high-quality product. TM "Gera" is a style, quality and comfort. That is why, the products of ТМ "Gera" are chosen by successful sportsmen, whom the whole world admires and one of them is the strongest women of the planet. Individual approach to each team and each athlete in particular – this is the main aspect that attracts our customers. 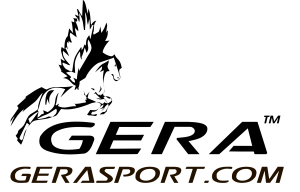 We are ready to help in the design development, given the corporate colors and logos of the team and sponsors. Currently, we are developing many areas. These are professional clothes for football, basketball, handball, volleyball, futsal, fitness, arm wrestling, MMA, fishing, etc. 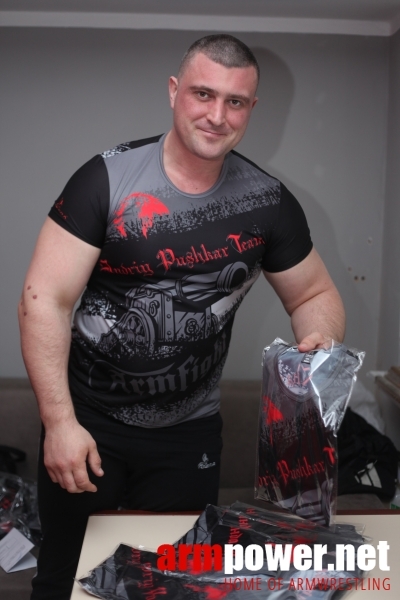 In Ukraine, the second month we are actively cooperating with the champion - Andrey Pushkar. For him we made more than a hundred T-shirts for fans. With the easy submission of Andrey Pushkar this year, representatives of the TM Gera met with PAL President Igor Mazurenko. He visited the production and got acquainted with all the stages and processes of making clothes. In March, we visited the official representative office of PAL in Gdynia (Poland), where we presented samples of our products. Over a hundred souvenir items, over one hundred and twenty Rashgards, and more than thirty leggings have already been stitched. The model for the fitness kit was the famous Ukrainian sportswoman Snezhana Babaeva. - Gera were introduced by Andrey Pushkar to us, – says Igor Mazurenko. – The guys did the designs of T-shirts for him - they selected models, sketches, styles. Andrey showed some, and I liked it. And we thought: what if we jointly develop a series of T-shirts? Once I visited Andrey and we decided to go to the production of Gera to get acquainted an see how the work is done. I liked the company’s approach, and we decided to release a few of their models. The first of them will soon go on sale. I believe that the brand is coping well with the tasks, and the opportunity to assess the quality of products will soon appear to all arm-wrestling lovers. 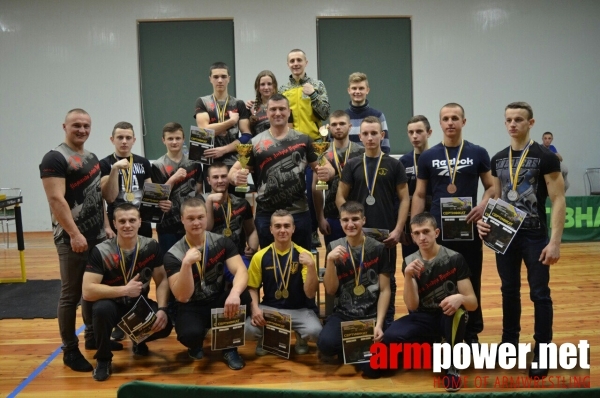 How to "sell" an armwrestler?